Currently, in many countries society rages, and people take various attempts to change their lives for the better - through elections, the establishment of political parties or of protest demonstrations - and in the process also occur social unrest, riots and coup d'état. People want to live better and they have a try to find a way to solve the problems of modern society. But, all these social disasters for decades and centuries repeated, again and again, and it looks like a never ending circle: promises, elections, discontent and unrest, overthrow, the nomination of a new candidate, and all over again. History teaches us nothing? How to get out of this vicious circle? Creator of the universe, our Heavenly Father has set over all the inhabited worlds administrative, spiritual guidance, which is carried out of spiritual beings (more details in The Urantia Book). How we can solve our pressing social issues taught celestial teachers working with the program Teaching Mission. Quality of life, Growth and Equality. A lot of lessons of the various celestial teachers was devoted to this topic and many transcripts are published. Daniel Raphael, Ph.D. is systematized all this knowledge, made research and studied this issue for many years. The result of this great work was his book trilogy “Fundamentals of Social Sustainability - Designing Sustainable Societies, Democracies and Economies», that is a practical guidance on the application and implementation of social sustainability, which is being prepared for publication, and now it is translated into many languages, including Russian. Daniel Raphael also wrote twelve articles as a short course to become familiar with the basic principles of social sustainability. 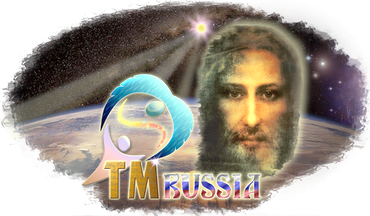 These articles are listed here in English and Russian languages. Since the book trilogy "Fundamentals of Social Sustainability" is quite a voluminous material that requires time to study, now written a shorter version of this book as a reference for the study, understanding and practical application of the principles of social sustainability. • Bachelor of Science, with Distinction, (Sociology), Arizona State University, Tempe, Arizona. • Master of Science (Educationally and Culturally Disadvantaged), Oregon State College of Education, Monmouth, Oregon. • Doctor of Philosophy (Spiritual Metaphysics), University of Metaphysics, Studio City, California. Developing A Loving-God Theology (1992), «The Development of Public Policy and the Next Step of Democracy for the 21st Century» (1992), «Inspirations for Spiritual Growth» (1997), «e-Democracy, The Development of Public Policy and the Next Step of Democracy for the 21st Century» (2002). Daniel Raphael has a lot of practice transmit/receive messages from spiritual beings, which he started in 1994. Ensured a large number of sessions, which were prepared hundreds of transcripts, including a series of "Conversations with Monjoronson" and "Conversations New Era." In the 1,000 year history of the development of democracy in western civilization, several conclusions can be made, some of which are subtle while others seem obvious. The most subtle of conclusions is that the fear citizens have of social, political, and economic revolution gives way to the hope of conscious and intentional improvements in democratic processes. The hope of citizens increases and abates depending on how citizens perceive their ability to influence their democratic government to effect a desired outcome. When difficult circumstances arise in a democratic nation, as exists now in the United States, and citizens perceive that they have no ability to influence that situation, their hope can quickly turn into desperation. This paper will outline two phases in the evolution of democracies and project them onto a third probable evolutionary phase.